New to storage? You may not think access to belongings at "all hours" is necessary. But Vines Storage understands office relocations, business projects, and household moves don’t stop as soon as the clock turns 5:00, and the "unexpected" never arises during convenient "working hours." For this reason, Vines Storage operates ‘round the clock. Our security professionals never stop working for you and, likewise, we offer 24-hour self-storage in Redlands CA. We (and our loyal clients) think we’re the Best Self Storage in the Inland Empire for this unparalleled convenience, security, and many other factors that contribute to a pleasant experience when you’re making a transition or have "ran out of space." They don’t want their vacation plans dictated by a facility’s operating hours. We get it. A holiday doesn’t get off to a good start when your departure or arrival time depends on when the storage facility is open, and you can get your seasonal gear or RV. If you’re like a lot of us, you want to be on the road or flying high early, so you can get the most out of your vacation time and to beat the mad rush. Many of our renters don’t work “traditional shifts,” or may have clients or projects that take them out of town. If that’s you, rest assured you’ll be able to access your items whenever they are needed. We know issues arise at the most inopportune times. For this reason, we want you to access items whenever you urgently need them. Likewise, you should have freedom to work on your move or office renovation if you’d like, without having to shut down the process for the night because you can’t get to certain furnishings or equipment. 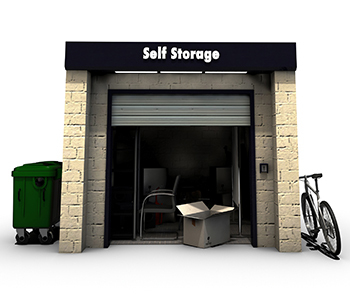 Call 909-389-6209 to find out all the ways we make storage easy.